Built around an emergent tree at the edge of our largest lagoon, our 32m tall Canopy Observation Tower offers sweeping views of the jungle and lagoon from majestic heights. While we always thought it would be amazing to observe the jungle from an eagle's perspective way up in the canopy, the real motivation behind building the tower was to provide additional jobs and income for locals who would otherwise be logging and hunting. Thanks to the generosity of our Tapiche friends, we raised enough money to move forward with the project. The tower was completed in March 2016. Birdwatchers and mammalwatchers alike, rejoice! The tower provides a magnificent birding spot for all manner of canopy birds, and we've also been delighted to observe large families of red bald uakari monkeys (Cacajao calvus) feeding and crossing in trees next to the tower. 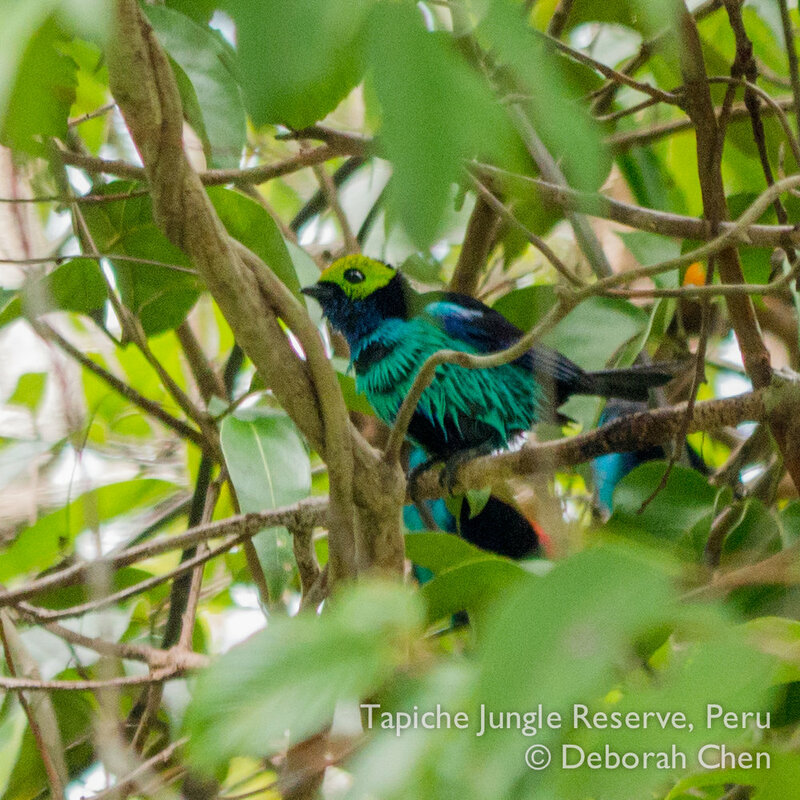 Find out if Tapiche is right for you, or Contact Us to begin your jungle adventure!